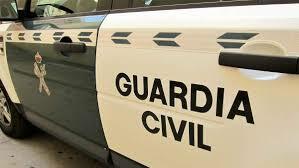 Calpe’s Guardia Civil has arrested a 23-year-old girl from Benissa after falsely reporting she’d been kidnapped. It was all part of an elaborate attempt to stop her husband from finding out that she had, in fact, spent the two days she was ‘missing’ with friends. The woman said that she’d been held for two days by three men who had kidnapped her at a bus stop in Villajoyosa and then took her to an abandoned house in the country somewhere. The alarm was first raised by her husband at the beginning of March when he went to the Guardia Civil in El Verger to report that his wife had disappeared the day before. He said that she’d left in the morning to go to work in Villajoyosa but didn’t return. He couldn’t contact her by phone – there was no signal – and as he’d not been around for a while didn’t know where she worked. It was the morning after the husband contacted the Guardia Civil that his wife went to one of the sister stations in Benissa to claim she’d been kidnapped. After hearing in great detail about her alleged ordeal, she was sent by the Guardia Civil to hospital to undergo tests to see if she’d been the victim of a sexual assault or had been drugged. Both tests returned negative results. Investigations where she lived and where she was allegedly held continued and it was later discovered that the girl had instead voluntarily left with friends on a two-day outing that she didn’t want her husband to know about.